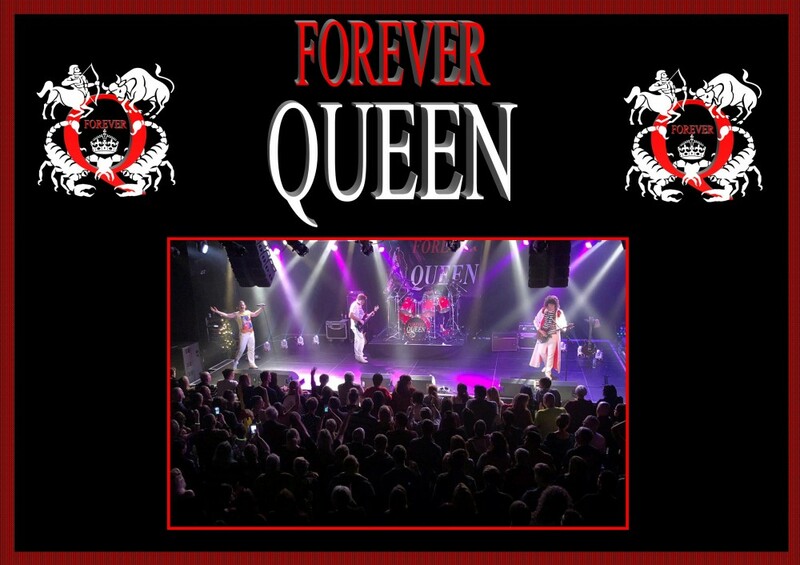 Forever Queen are a four piece Queen tribute band based on the South Coast. The band have been going for 10 years and have played some of the best venues in the UK and abroad. Queen has been one of THE most successful rock bands of all time and, as musicians, it is an honour to be able to recreate their music and image in our show. Playing Queen isn’t about singing their songs, its about the little things as well which we try to show through the music, props, and costumes. We hope that our attention to detail highlights the lengths we go to in order to provide a true experience of Queen. Just seen the guys perform tonight . Me and my girlfriend were right at the front with me queen t shirt on . Brilliant tribute !!! Seen lots of tribute bands but these guys were the first to do other classics won’t state what so I don’t spoil it for others . Had selfies with the band and they were brilliant top tribute !! From the really tall bloke in the front row in the mars bar in worcester !! Brilliant !! !